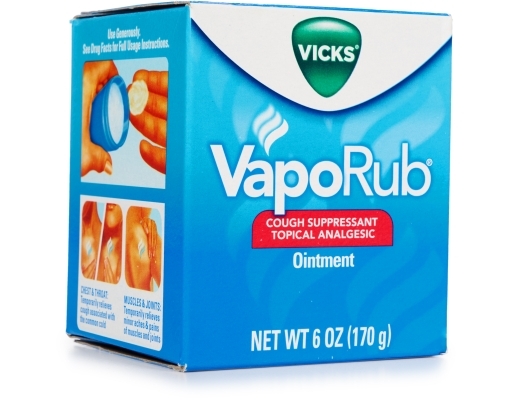 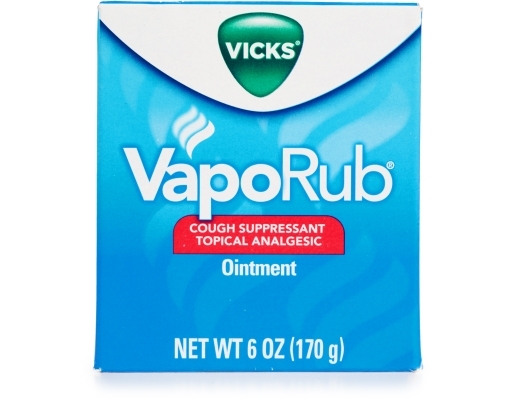 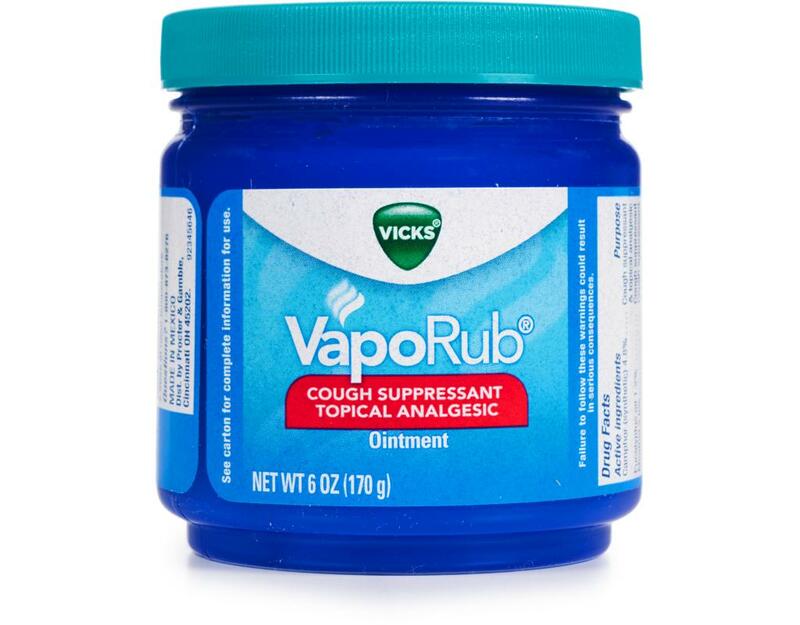 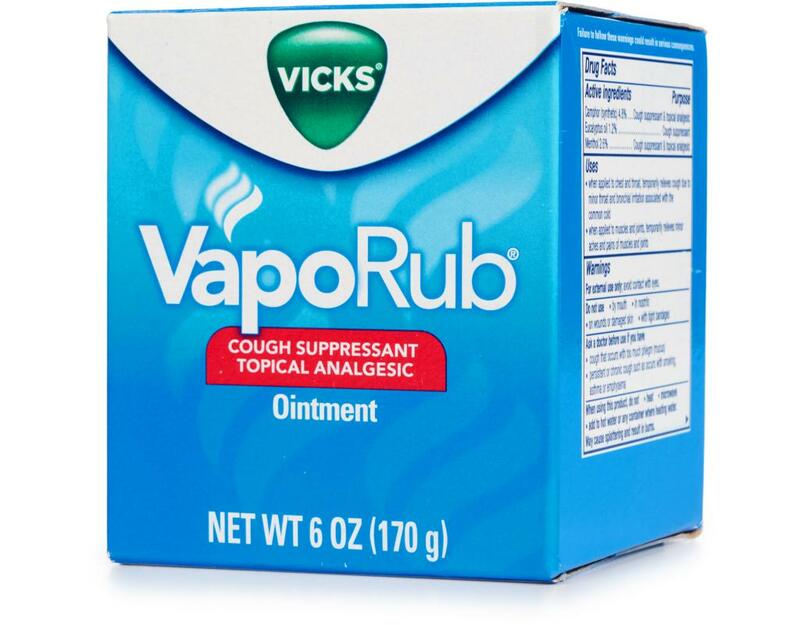 Vicks VapoRub cough suppressant and topical analgesic. 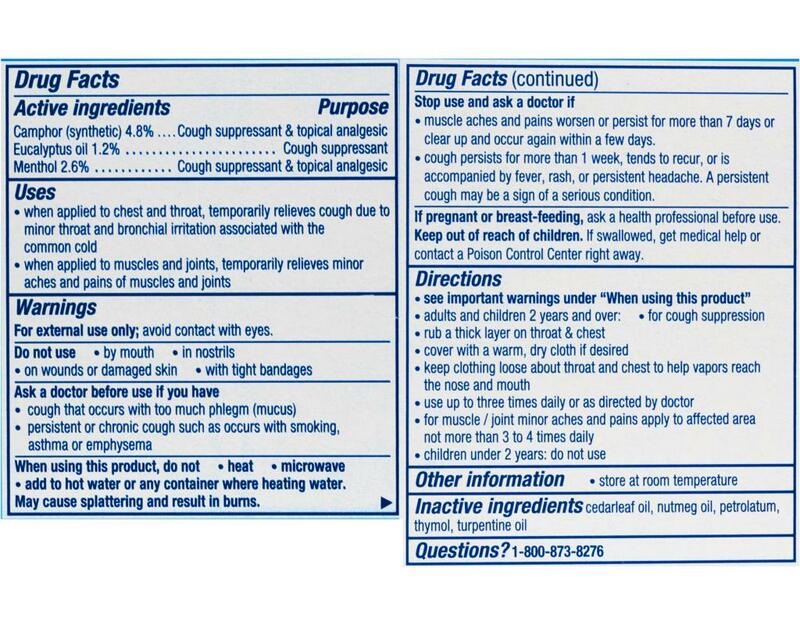 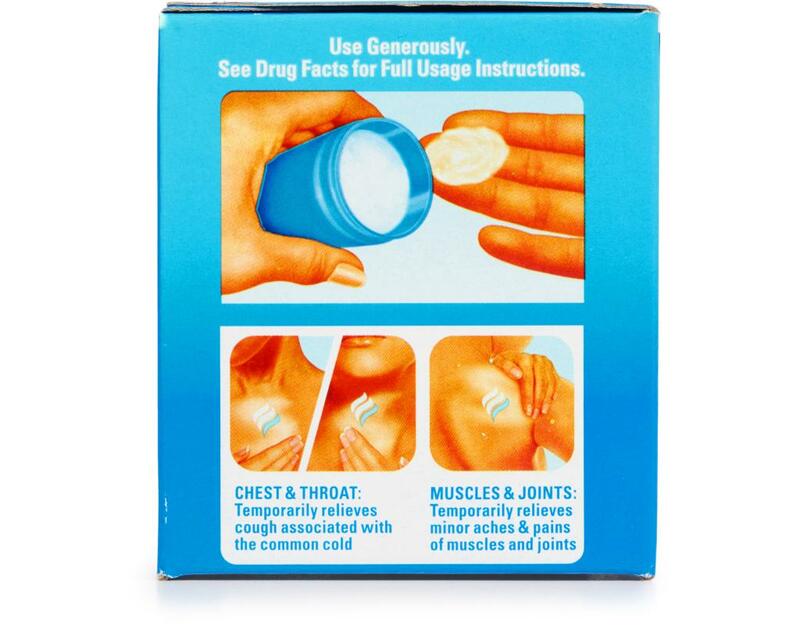 Vicks VapoRub topical ointment—the #1-selling branded children’s cough/cold product appropriate for ages two and up—is a topical cough medicine with medicated vapors that works quickly for adults as well to relieve cough symptoms. 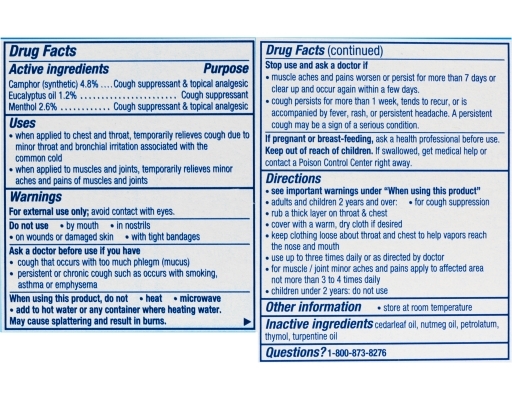 It is not likely to cause drowsiness or jittery side effects, when used as directed. 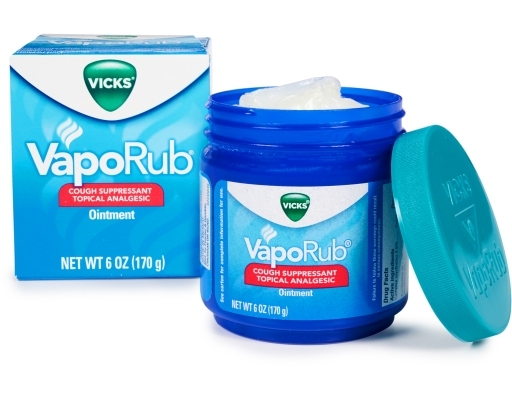 The medicated vapors begin to work fast to relieve your cough.